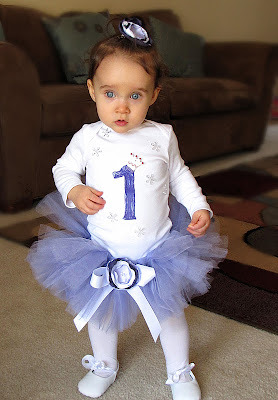 My friend Denee's little girl turned one last month and she asked me to make her a tutu for her birthday party. 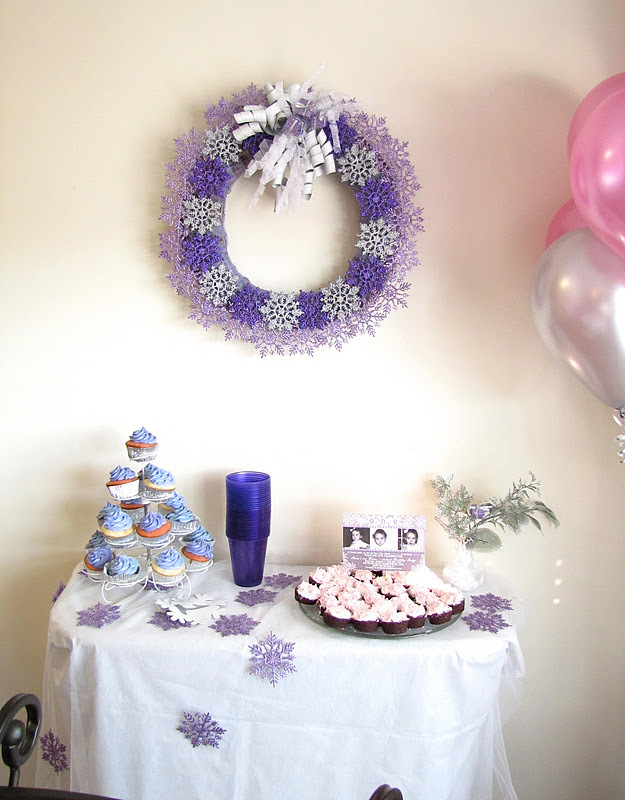 She had a Winter Onederland themed party and it turned out so adorable! 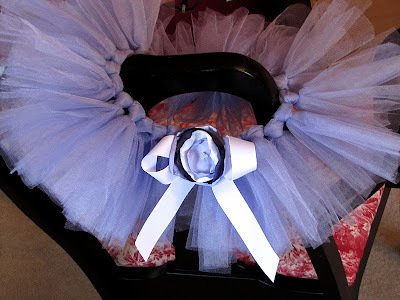 I saw on Pinterest a while ago an easier way to cut the tulle pieces for a tutu so I used that method this time and it was such a time saver! Instead of rolling out the tulle and measuring each piece, you would cut a piece of cardboard out the length that you need your pieces cut. 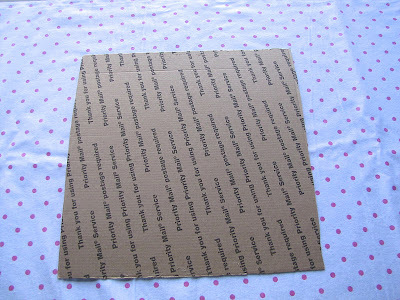 My cut length was 12" (5 1/2" finished length x 2 since it's folded in half plus 1" for the knot) so I cut my cardboard to 12". 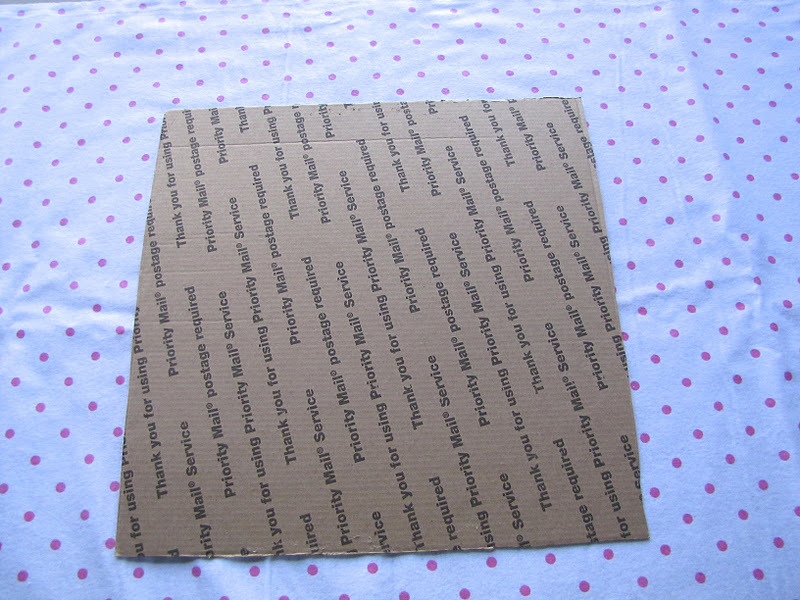 I wrapped my tulle around the cardboard until the spool was empty. 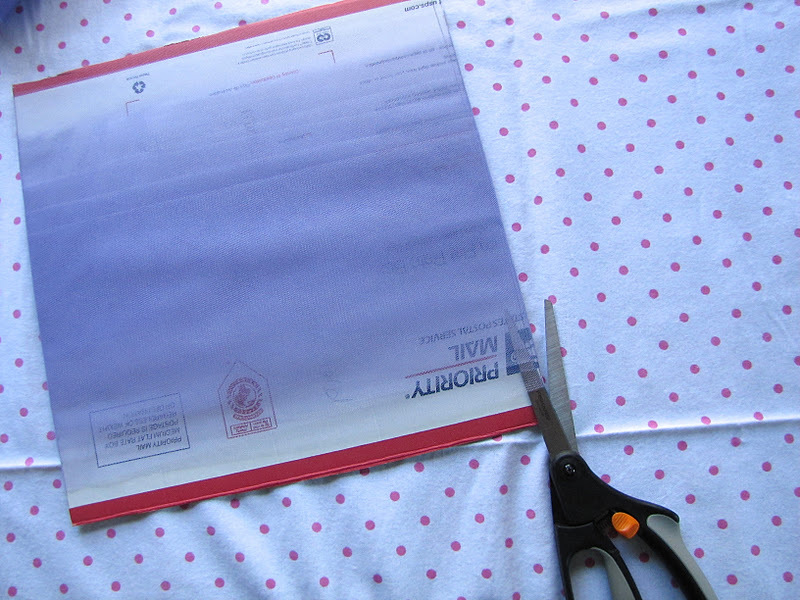 Then I used my fabric scissors to cut the tulle on each end of the cardboard. So you will have all your tulle pieces 12" long. 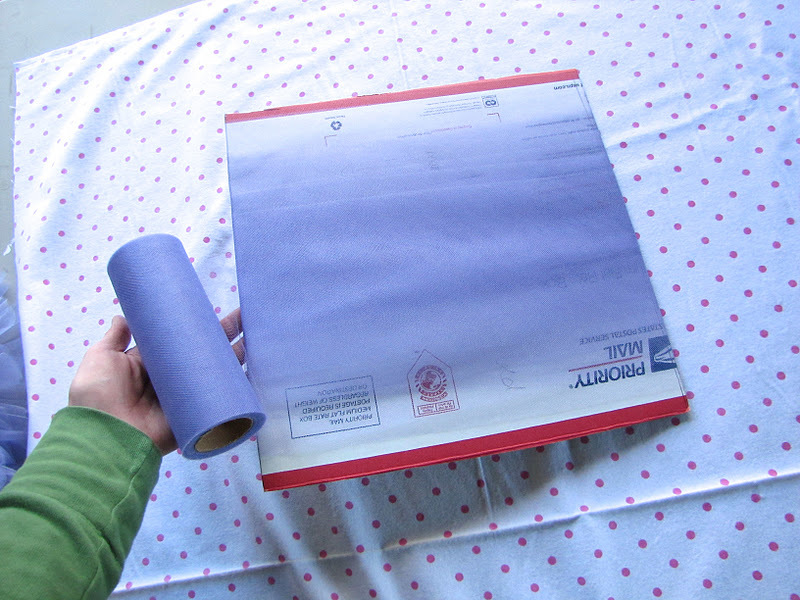 So much faster than cutting each out individually. You may need more than one spool of tulle so do each spool separately. 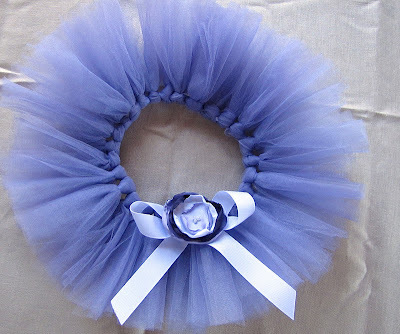 Just follow the tutorial to make the rest of the tutu. You can view it here. Here are a few photos of her party. Denee made this adorable wreath herself! 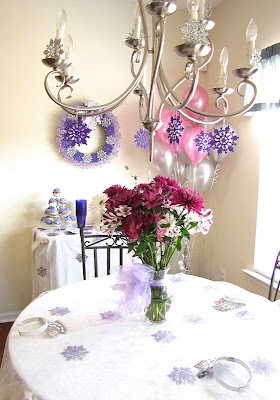 I love the snowflake chandelier! 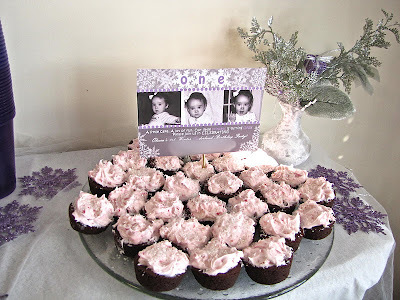 Brownie bites and the invitation. 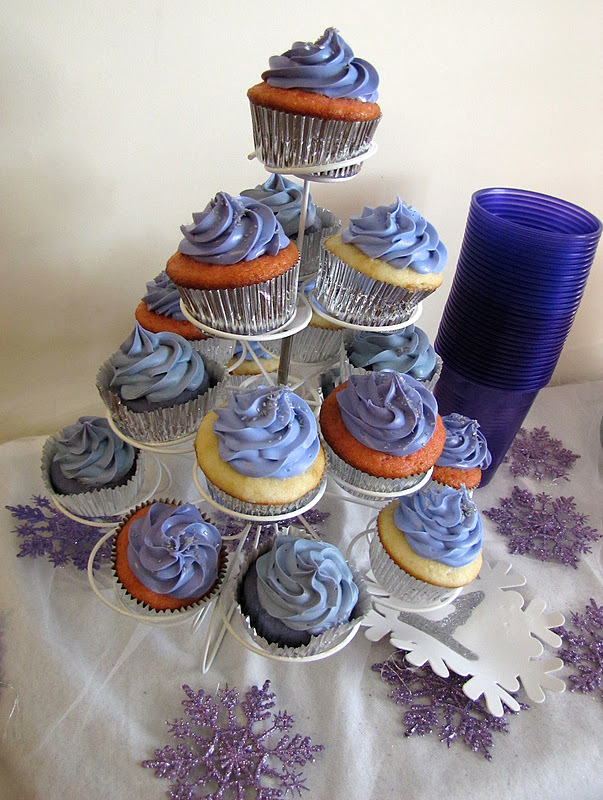 Her friend from The Frosted Cupcake made these cupcakes. They were so delicious! Denee made her this little onesie to go with her tutu and it turned out so cute! Great job Denee! nice piece of info really interesting.specially the image which i loved most. i will surely going to designed this image on personalized photo mugs.anyways keep sharing good blogs like this.good luck.